It was a long journey because it is not easy finding just the right home and we were a bit under time pressure: As so many renters right now, Michael and Myrna got into a situation where their landlord was not paying his mortgage any longer and facing foreclosure. So one day this young couple received a letter in the mail saying that they had to vacate their rented condo within a very short amount of time. Apparently the bank was going to take the property from the landlord. The foreclosure process was going to get started and, obviously, the renters, Michael and Myrna, had to leave asap. After dealing with a bank owned home that had a serious mold issue we finally found just the right home in Oviedo and negotiated a great deal. 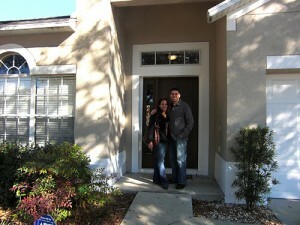 Now Michael and Myrna are happy home owners and will live in beautiful Oviedo with their two children. Facing a similar situation? Are you a renter and your landlord is not paying his mortgage any longer? 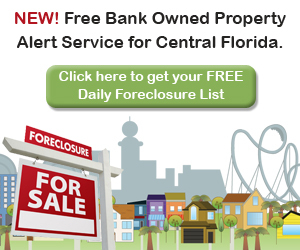 Text us or give us a call at 407-340-6458 – we can help you find your dream home quickly and at the best price! You can also fill in the form below so we can email you.